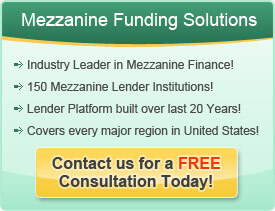 Mezzanine debt is that part of a corporation’s capital structure that is placed below senior debt, but above equity. It is considered by some investors as a fixed income asset that has higher yields than corporate bonds, and by others as an alternative investment with lower volatility than private equity. Mezzanine debt is considered more flexible than senior debt and less dilutive and less expensive than common equity, making it an attractive option for middle-market companies. The current environment is witness to constrained bank lending resulting from the recent financial crisis. This has led to increasing demand for mezzanine debt especially in the middle market. Middle market mezzanine debt is a closely held privately structured security and is around $4 million to $75 million in size. Like in any private and illiquid market, there are risks inherent here too. But the past 20 years have seen high historical returns, with the top-quartile middle-market mezzanine funds ranging from 12-18%. Middle market mezzanine debt has outperformed nearly all asset classes making it currently one of the most attractive asset classes. The performance of mezzanine throughout the market crisis has made the asset class an attractive addition across diversified portfolios. Scope for corporate mezzanine debt remains positive in the current market environment. Used for leveraged acquisitions or refinancing of maturing obligations, it’s driven by a number of distinct market trends. Large imbalance in supply-demand for private, dedicated mezzanine capital is one of the primary reasons. Market volatility, large recent outflows from high yield and loan mutual funds, and structural shifts in the financial arena caused by established and pending regulatory action are some more. Middle market companies should consider mezzanine debt as a way to finance rapid growth or acquisition. It is a more versatile form of capital than a bank loan, yet far less expensive than equity.